For the third time I am commissioned to be a coach in the Design Open. 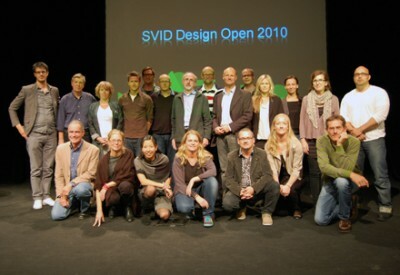 SVID Design Open is a Swedish design competition for students at high school and university level. Future designers and business developers from all around the country meet to develop services and products that inspire the industry to think new. During SVID Design Open new business ideas are born and developed to eventually be launched in the market. The goal is to contribute to a sustainable development of society and to strengthen the role of design as a competitive tool. This year’s competition task will focus on ”Energy in everyday life” How can we influence people’s behavior? How can we become aware of our energy consumption, can it be fun to be energy efficient, what are tomorrow’s smart products, services and concepts? The competition runs throughout the fall semester with prize ceremony in the spring. Coaches gathered at the start of Design Open in Gothenburg, 24 September 2010.